Replace the Jordanian Waqf with an Imam chosen by Israeli Arabs. 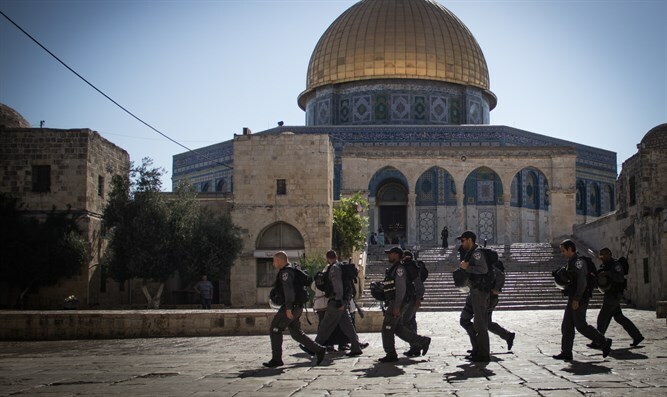 In 1967, after Israel won the Six Day War and reunited Jerusalem, Israeli defense minister Moshe Dayan announced to the Jordanian-appointed Wakf that they wouldl be allowed to continue to administer the Al Aqsa compound. Nadav Shragai reported in the Jerusalem Center for Public Affairs "...Dayan decided to leave the mount and its management in the hands of the Muslim Wakf, while at the same time insisting that Jews would be able to visit it (but not pray at it!) without restriction. Dayan thought, and years later even committed the thought to writing, that since for Muslims the mount is a 'Muslim prayer mosque' while for Jews it is no more than “a historical site of commemoration of the past…one should not hinder the Arabs from behaving there as they now do.” The Israeli defense minister believed that Islam must be allowed to express its religious sovereignty – as opposed to national sovereignty – over the Temple Mount; that the Arab-Israeli conflict must be kept on the territorial-national level; and that the potential for a conflict between the Jewish religion and the Muslim religion must be removed. In granting Jews the right to visit the mount, Dayan sought to placate the Jewish demands for worship and sovereignty there. In giving religious sovereignty over the mount to the Muslims, he believed he was defusing the site as a center of Palestinian nationalism..."
Despite Israel's generous decision to allow the Jordaniana-ppointed Wakf to administer the Temple Mount so as to avoid religious animosity, Jordan and the Wakf have repeatedly used the control of the Temple Mount to instigate riots against Israel. On October 26, 2016 UNESCO adopted a Jordanian controversial resolution on Jerusalem's Holy Sites which deletes Jewish ties to the sites. The resolution, submitted by Jordan, uses exclusively Arabic terms to describe Temple Mount, deliberately deleting the Jewish connection to the site of the Jewish Temples..
On December 23, 2016 Obama did not veto UNSC 2334 declaring that both the Temple Mount and the Western Wall are in "occupied Palestinian territory" and it was approved. UNSC 2334, which violates the Oslo Accords, was lauded by Jordan's King Abdullah II. Dayan's decision to leave the administration of the mount in the hands of the Jordanian appointed Muslim Waqf was his belief that "Islam must be allowed to express its religious sovereignty – as opposed to national sovereignty – over the mount" That belief has backfired Since now, with Jordan's approval, the UNSC has declared that the Temple Mount and the Western Wall are in "occupied Palestinian land," Dayan's formula calling for Israeli sovereignty over the site must be revised. Why allow Jordan, a country that is hostile to Israel, and constantly attacks Israel in the UN, despite signing a peace treaty with the Jewish State, to have control over the Wakf appointment? 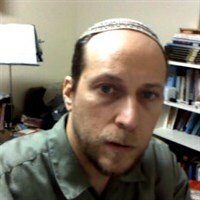 Dayan's intention that "Islam must be allowed to express its religious sovereignty – as opposed to national sovereignty – over the mount" could be guaranteed just as well or better if an Imam were appointed by Israeli Arabs who are, on the whole, less hostile to Israel than the Jordanian Wakf. Israeli Arabs are professors, engineers, judges and doctors. Many Israeli Arabs are successful professionals in Israel and prefer to live in Israel rather than in the corrupt Palestinian Authority. About 20% of the Israeli population (about 1.8 million) is Arab . Israeli Arabs know that they enjoy a better standard of living in Israel than they would under Palestinian rule. Israeli Arab income is three times larger than that of the average Palestinian Authority Arab nd most of the Israeli Arabs would not change their Israeli citizenship for a Palestinian one if such citizenship would exist. In 2014 the residents of the Arab Israeli city of Umm al-Fahm, bordering on the 'West Bank', were asked to vote if they wanted their city to continue being part of Israel under a peace agreement or if they wanted to be ruled by the Palestinian Authority. They chose to remain in Israel because they enjoyed the benefits of Israeli citizenship. There are more Arabs living in Israel than in the 'West Bank,' Israeli Arabs have the same claim to Al Aqsa as does Abbas. Israeli Arabs who enjoy the benefits of Israeli universities, hospitals and high tech businesses should also support Israeli sovereignty over Al Aqsa where Muslims enjoy the same freedom of religion as they do in any other of the thousands of mosques in Israel. Jordan or the Palestinian Authority should have no input on control of Al Aqsa . An association of Israeli Arabs who benefit from the privileges of Israeli citizenship should appoint an Imam to run the Al Aqsa mosque in place of the anti-Israel Waqf. Israeli Arabs, who unfortunately showed last week that they also harbor disloyal and terrorist persons, should be given a choice: either replace the Waqf with an Israel-friendly Imam or risk the benefits of their Israeli citizenship. Why should Israeli Arabs continue enjoying the benefits of living in Israel while supporting a Waqf that calls for Israel's destruction?